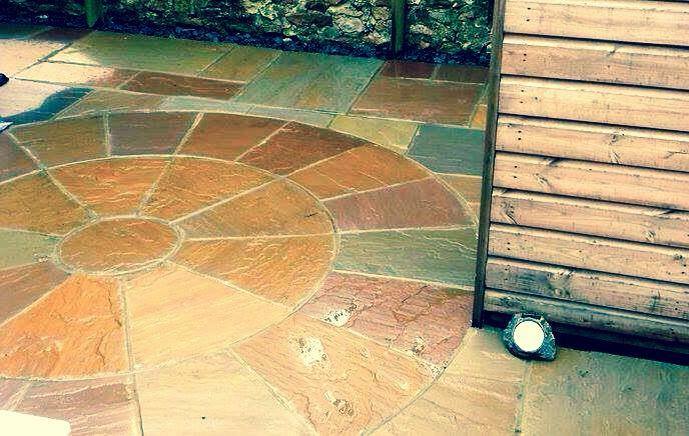 Raj Sandstone Circle has a warm variety blend of brown and grey, blended with shades of green and purple. This image was sent in from a very happy customer and I can see why they were so happy with the finished article. Alan Moth and his team completed this job in Honiton using a 2.85m dia. which includes the squaring off kit in Natural Indian Raj Sandstone.